So I've managed to make it two and a half weeks with almost no sugar. But the other day I picked up a smoothie for my hubby because he wasn't feeling good and ended up getting myself one too. I only drank about half. Not long after, I felt sooooo tired. I thought I was going to have to lay down. I literally felt drugged and my mind was all befuddled, I couldn't think clearly. Up until that point, I hadn't thought I'd seen any progress with the no-sugar perks. But when that happened, it dawned on me how energetic I've felt lately and how my mind has not been muddy like it used to be. I'd always chalked up my cloudy mind to thyroid issues, but now I'm really wondering if it's the sugar! From that afternoon on, I've found a renewed reason to avoid sugar ~ to avoid that drugged, super-sleepy, cloudy-minded, yucky feeling. That was awful. 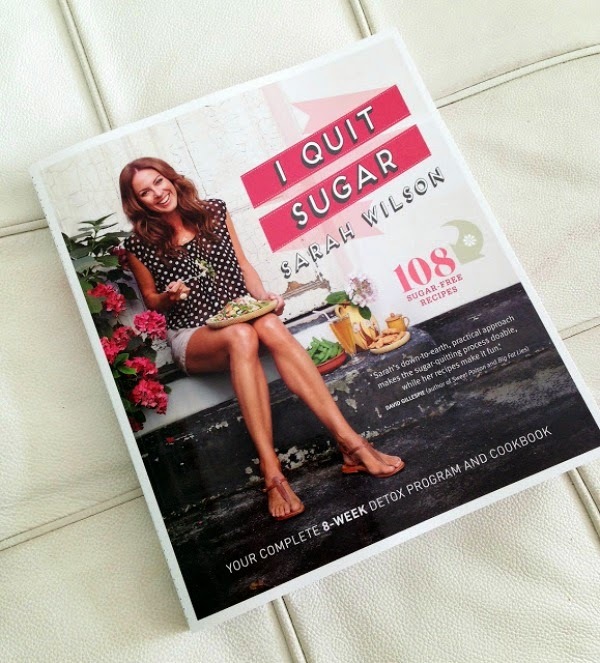 I also checked out the book, I Quit Sugar, from the library to see if it was something I'd like to have. It came in just when I needed some new recipes and guidance about how to do this. So far, I'm really enjoying the book. What about you, would you consider giving up sugar? Do you think I'm nuts?